The first DLC extension for The Last of Us, "Left Behind," will launch on Feb. 14, Neil Druckmann of Naughty Dog said in a Tweet this afternoon. The chapter is a prequel to the main story, hadn't been officially dated before. 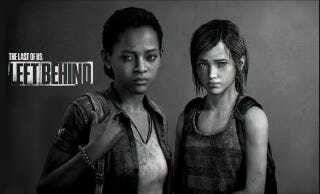 "Left Behind" will explore the friendship between Ellie and another young survivor named Riley, before Ellie meets Joel, the protagonist of the main game.